A Nereid-nymph rides across the sea on the coiled fish-tail of a marine god. The winged god Eros (Love) flies before her holding a mirror in his hand. 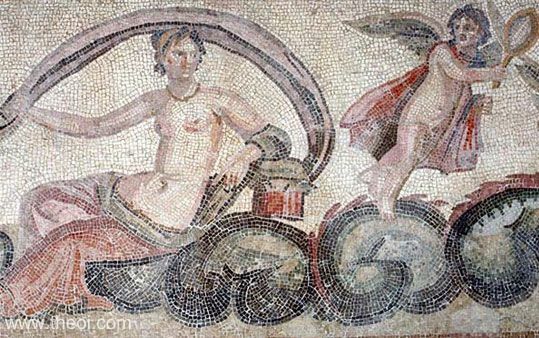 The mosaic depicts a series of Nereids riding sea-gods. Alternatively, this figure might be the goddess Aphrodite, as the Eros and mirror are her usual attributes.